The poll last week was “What’s Your Favorite Instant Messaging Application?” and the results were out. 40% of you loved Pidgin, the versatile multi-protocols IM application. 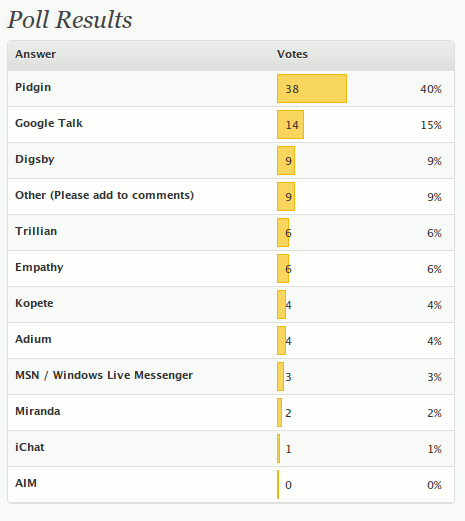 Google Talk was at second place with 15% of the vote. Digsby was at a distance third with only 9% of the vote (I expect it to be higher). The remaining ranking: Trillian, Empathy, Kopete, Adium, MSN Live Messenger, Miranda and iChat. A total of 96 votes were casted. The question for this week’s poll is: Do You Wish to See Delicious Shut Down? At first, Yahoo said that it’s going to shut down Delicious. Next, it said that it is going to offload Delicious (instead of shutting it down). What about you? Do you wish to see Delicious get shut down? 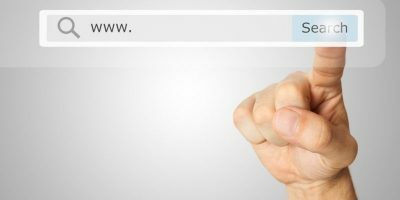 Feel free to comment if you are using other bookmarking services.